The visibility is also expected to increase from Monday onwards with fog likely to get getting shallower, against the dense one on Sunday morning. NEW DELHI: A day after experiencing the season's coldest day, the national capital on Sunday saw a slight respite with minimum temperature rising to to 6.4 degrees Celsius against Saturday's 4.2. The temperature is likely to rise further by a degree on Monday but the chill will continue, Met said. 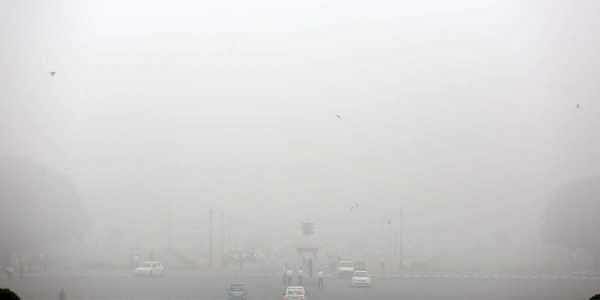 According to India Meteorological Department (IMD), the visibility is also expected to increase from Monday onwards with fog likely to get getting shallower, against the dense one on Sunday morning. "Monday would see shallow fog and the visibility will improve towards morning," an IMD official said. The wind speed however will also increase from Monday onwards making the day chilly despite Delhi's prospects of receiving good sunshine towards next few days. The maximum temperature on Sunday was 20.7 degrees, a notch above the season's average. "The wind speed towards Sunday noon was around 10 to 15 kmph, which is likely to increase to 20 kmph over Monday. This will help clearing the fog to some extend as well as improve the air quality," Mahesh Palawat, director, private weather analyst Skymet told IANS.